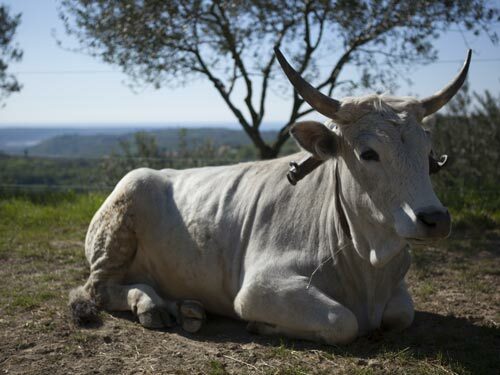 The Istrian cattle or “boškarin” is an indigenous cattle breed, which inhabits the Istrian hinterland. In Slovenia, Istrian cattle breeding is limited to the area of the Slovenian Istria. Numerous fossil remains testify to the presence of a prehistoric bovine, which is the ancestor of the Istrian cattle. And it is from the ice age! Our boškarin called “Saražin” or affectionately “Boško” is happy to see every visitor and enjoys the beautiful scenery of the Sečovlje salt-pans and the Bay of Piran. Today’s Istrian cattle breed originated in Podolica, which has spread from the Danube to the Roman Empire through the Roman legions. Genetic analyses have shown that, despite the similarity to different Podolica cattle breeds, Istrian cattle breed is independent. 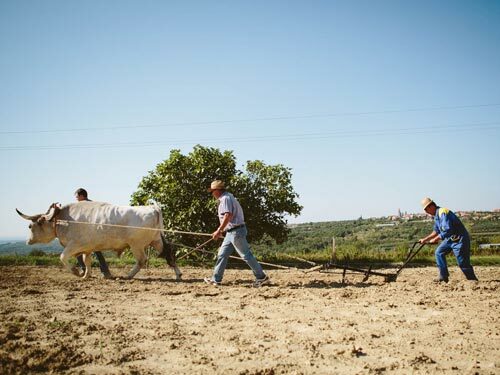 The industrialization of agricultural production, the arrival of mechanization, social movements in the countryside and commercial orientation in tourism in the middle of the 20th century led to the abandonment of the Istrian cattle. In the Slovenian Istria, the Istrian cattle died out entirely. With the measures for the conservation and recovery of existing populations and the revitalization in 2012 they imported 10 breeding heifers, representing the parent herd for bringing the Istrian cattle to Slovenia again. One of the descendants of these heifers is also our very own “Boško”. 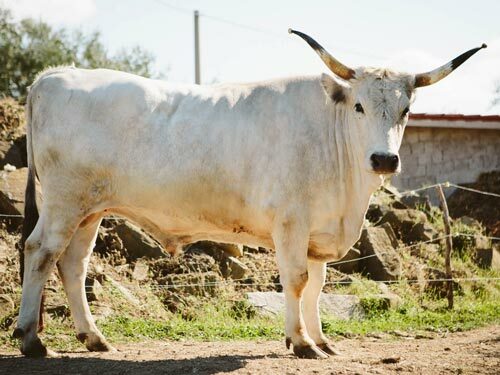 The Istrian cattle is a late-mature breed, as they grow up to the age of 6 to 7 years. It has a long life expectancy, because it can be used up to 20 years for work and reproduction. Adults reach approx. 1200 kg of weight and the withers reach 150 cm of height. The big horns in the form of lira give them a special touch, and they can reach a length of 1.50 m. Istrian cattle has a calm, friendly, diligent, docile and modest nature, which reflects the 100-year-old breeding of boškarin cattle as working animals with modest feeding demands and without much interest in milk production. It was mainly used for plowing and other tasks. What is the difference between boškarin and other breeds of cattle? Why is the boškarin so popular in Istria? All this and more you can learn when you visit tourist farm.